Talmud teaches (Sotah 12a) that when Moses was born, the house was filled with light. In this week’s Torah portion we read that Moses’ mother saw that he was good, and in Genesis 1 we read that God saw that the light was good. The same phrase is used to describe both Moses and that primordial light. Remember that at the beginning of the Torah, God says let there be light, and there is light, and God sees that it is good — and only some days later does God create sun, moon, and stars. The light of the first day of creation is not literal light. It is the light of wisdom and insight. The light of love. This morning we sang “For with You is the source of light” — not talking about the sun and moon, but about that primordial light. In the kabbalistic understanding, that primordial light shines from ein-sof, “without-end,” the most infinite, transcendent, ungraspable aspect of God. Using the scientific paradigm, we might call it the light of the Big Bang, still emanating into our expanding universe. Or using Hasidic language, we could call it the light of God’s yearning for us. In today’s parsha we read about Yocheved birthing Moses. When we bring children into our lives, we too have to pull back to make space for something which is not us. We make room for relationship. It takes intention and awareness to respond to our children as Yocheved did — to recognize and nurture the light in them. If you’ve ever practiced yoga, you may have heard the greeting “namaste,” which means “the light in me greets the light in you.” The light in me greets the light in you. Maybe that’s a glimpse of the first light that God called good, shining within each of us. Yocheved, mother of Moses, hides him for as long as she can. When she can no longer keep his light under a bushel, she places him in a wicker basket and sets it afloat on the Nile — the very river in which Pharaoh had commanded that all Hebrew boy-children be drowned. But instead of the waters of drowning, these are waters of redemption. As his sister Miriam the prophet watches from afar, the daughter of Pharaoh finds him there. Immediately Miriam rushes to her side and offers to hire a Hebrew wet-nurse…which means that Yocheved is able to continue nursing her own child. For our sages, the love of a mother for her child was symbolized by the act of nursing. And our love is a reflection of God’s love, which is also likened to nursing! More than the calf wants to suckle, says the Talmud, the cow yearns to give milk. More than we desire God’s blessing, God yearns to bestow blessing upon us. God yearns to bestow love. God yearns to bestow light. Much later in our story, when Moses comes down from Sinai, Torah teaches that he had to veil himself because he was shining with divine light. His encounter with God was so profound that he came away glowing. Have you ever had an experience of such profound wonder and joy that you came away glowing? That’s primordial light, shining through you. Image: an artist’s rendering of the Big Bang, from here. The Winter 5774 / Jan-Feb 2014 newsletter is now online! In this edition of the newsletter you’ll find reports from the annual meeting, interviews with our Jewish Star award-winner Grace Bowen and with cantorial soloist David Curiel, Shabbat candle-lighting and havdalah times for the next few months, updates on recent happenings at CBI, the d’var Torah by Rabbi Pam Wax delivered on the Shabbat when we honored chevra kadisha and cemetery committee, and much, much more! As always, the newsletter will also be archived on the Newsletter page of our website, and will be sent via e-mail to all CBI members. 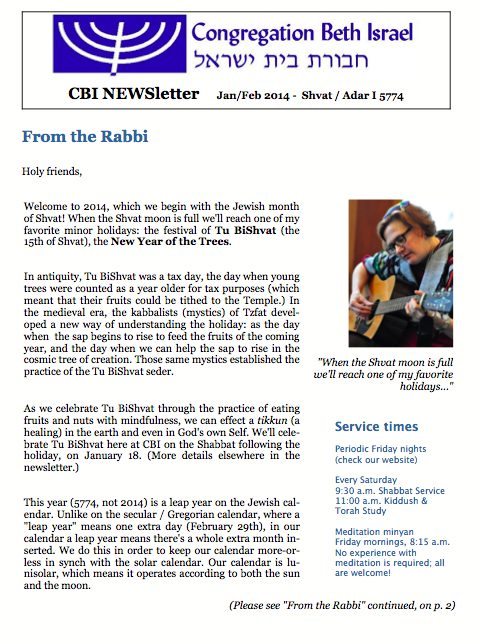 In the time since I became the rabbi here at CBI, we have not held Friday night Shabbat services. We relinquished our kabbalat Shabbat (“welcoming Shabbat”) service because attendance had been quite low on Friday evenings. (We have always had a small but dedicated core group of Shabbat morning regulars.) Many of you have told me that you miss Friday nights. Rejoice with me: this week we’ll celebrate Shabbat both on Friday evening and on Saturday morning at CBI! This Friday, December 20, we’ll begin at 5:30pm with a vegetarian / dairy Shabbat potluck dinner. We’ll make blessings over candles, wine, bread, and our children; we’ll feast and enjoy fellowship at the Shabbat table. At 6:30pm, we’ll move into the sanctuary for Kabbalat Shabbat, the service of welcoming the Sabbath bride into our midst with psalms, songs, prayers, and joy. Kabbalat Shabbat services usually last about an hour (the first half is technically the Kabbalat Shabbat part; the second half is ma’ariv, daily evening prayer.) Some of the words and melodies are the same as on Shabbat morning, but many are special to Friday nights alone. We’ll sing “Lecha Dodi” (“Come, my beloved, to welcome the bride” — the Shabbat bride, the Shekhinah, the divine Presence which graces us each Friday night), we’ll sing songs and psalms which are unique to Friday night services, and we’ll celebrate the beginning of Shabbat, our opportunity for relaxing and rejoicing, which our sages said (when celebrated wholly) is a foretaste of the world to come. And then, of course, on Shabbat morning — Saturday, December 21 — we’ll gather at 9:30am for Shabbat morning services as always. That service lasts an hour and a half, and features songs and psalms of praise, morning prayers of thanksgiving and awe, and a reading from Torah. This week we’re entering into a new book of Torah: Shemot, known in English as the book of Exodus. At 11 we’ll adjourn to the social hall for kiddush, and then those who are so inclined will gather in the library for Torah study. December 20th or 21st (depending on who you ask) is the longest night of the year. 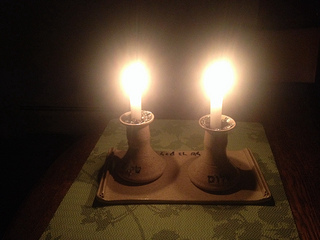 This Shabbat will be our turning-point, our hinge, between the darkening days and the gradual return of warmth and light. Join us and bring more light into your life — and into the lives of everyone here at CBI who will be enriched by your presence and by our coming-together in community! Here’s the d’var Torah I offered yesterday at my shul for Human Rights Shabbat / parashat Vayigash, crossposted to Velveteen Rabbi. Today we’re observing Human Rights Shabbat. Human rights are woven into the fabric of our tradition. They’ve been there from the very beginning, the creation of humanity in the image and the likeness of God. Every human being bears God’s DNA, as it were; each of us reflects a unique facet of divine infinity. Because every human being is a reflection of God, containing a spark of divinity within, every human being has inalienable human rights regardless of race, gender, creed. The right to worship freely, without coercion. The right to pursue meaningful work. The right to earn a living wage. 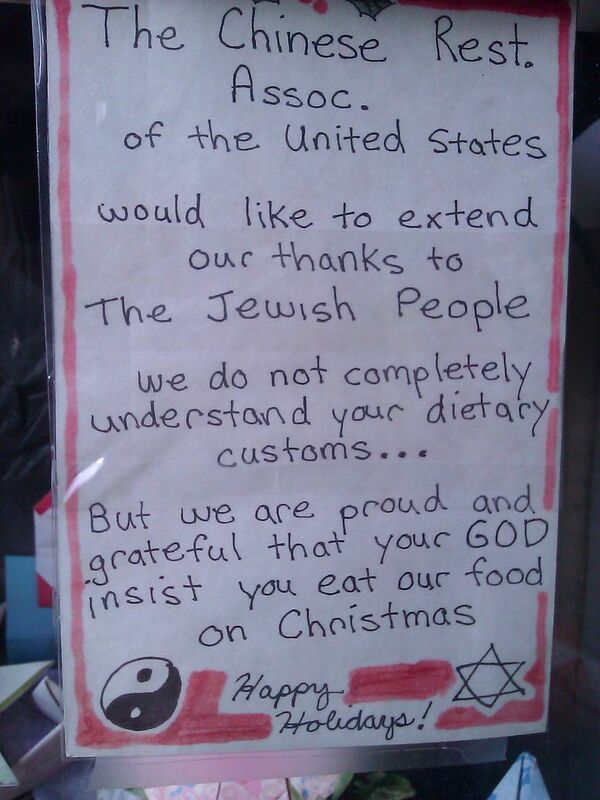 The right to choose the shape of one’s family. The right to be treated as a whole and holy creation of God. Over recent weeks our Torah portions have taken us into the Joseph novella. Joseph’s story features several suspensions of his human rights: when his brothers throw him into the pit, when he’s sold into slavery, and when he’s cast into Pharaoh’s jails. In Joseph’s story, of course, everything happens for a reason. Joseph himself is certain of this. When he reconnects with his brothers he assures them, “don’t feel guilty for what you did — even if you intended it for ill, God intended it for good.” The Joseph story is a classic example of what our tradition calls “descent for the sake of ascent.” In order to be lifted up, you have to recognize that you’re someplace low. Here’s someplace low: our world is marred by human rights violations which ignore the innate wholeness and holiness of every human being.